Have a tough safe job? M&D expert technicians can get into your safe in no time. In fact, our techs compete with one another to see who can open a locked safe the soonest. Give M&D a call for fast and immediate response. From small household safes to large heavy duty office safes, M&D technicians will crack the code and retrieve your precious items. We also carry a line of safes and can order almost any safe for you. Give M&D Locks and Keys a call to crack your safe quickly and easily. In most cases, we’ll be able to preserve your safe so you can continue using it. Go with the experienced, trained and licensed safe opening experts at M&D Locks and Keys. Surprisingly, we get a lot of calls to open safes. Our technicians are experts at safe cracking and opening. They are highly trained and have the tools to open safes so you can get to your content. Many of these tools are illegal for anyone, but a licensed professional to possess so opening a safe is a very special request and not all locksmiths have this capability. Fortunately for you, we do. Our technicians have never encountered a safe yet that they have not been able to open. Our goal is to gain access, preserving both the housing and your valuables. 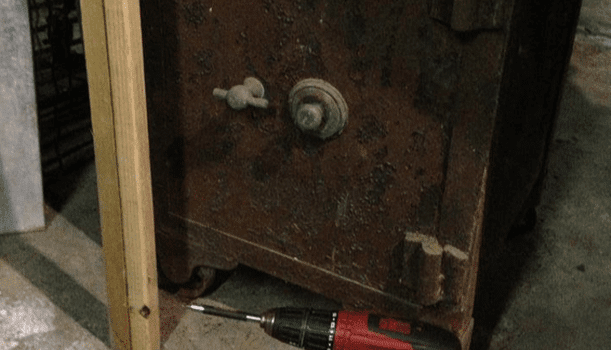 In some cases, with old vintage safes that are beyond repair, we may have to damage the unit to access the items inside, but we will always discuss these options with you beforehand. M&D sells, installs, and maintains a variety of safes from simple home safes to high security industrial safes. We can install safes for wall mount, floor or stand alone. Need one that is fireproof or specifically to store data, jewelry or guns? We have safes specifically for your office and document protection as well as high security options for those who have more to protect. If you have a high end unit, it will likely need regular servicing to ensure it is safely securing your valuables. We run across this with a lot of our commercial clients in Manhattan, but also with some of our residential clients who have extremely important valuables to protect. In this case, M&D is qualified and licensed to give your safe an inspection to ensure it is working properly. Have your unit serviced at least once a year so we don’t have to come out and crack it open or worse, damage your safe trying to access your valuables. Where do you install your safe, especially since most of them are heavy and difficult to move (this is intentional as the heavier the container, the more of a deterent it becomes for potential thieves)? M&D experts will come out and position your unit exactly where you want it. Don’t break your back trying to get your Walmart Safe into your closet or basement? Call M&D and we’ll do all the heavy lifting. We often do complete home security inspections and provide safes with a security camera installation or lock and key installment. For such services, be sure to contact us for any discounts with combining products. Often we can save you money on both products and services. If you agree to a maintenance plan, you can save even more money. M&D Locks and Keys provides home security cameras, intercom systems, lock and key services, emergency lockout, security gates, doors and windows to the New York City community including Manhattan, Brooklyn, Queens, Staten Island, the Bronx, Long Island and New Jersey. If you live in any of these areas, be sure to give us a call to let us know what your security needs are. We have mobile locksmith units throughout the five boroughs of New York and chances are one of our vans is around the corner. Give us a call at (718) 484-4050.